The Bronx, NY (March 28, 2019) – A few more details concerning the fire that broke out inside an apartment building in the Morris Heights area on Wednesday, March 27th, have been released. The fire was reported to have started around 1:45 a.m. inside a six-story building located at 1925 University Avenue, which is a public housing building that has been without heat for some time now, according to authorities. The blaze broke out on the second floor but quickly spread to the third and fourth floors as well. The massive fire drew responses from over 100 first responders and was not declared under control until after 3:00 a.m. A total of eight people were reported to have suffered injuries in the fire. According to officials, three people were hospitalized with serious but non-life-threatening injuries, while another five individuals suffered more minor injuries. The FDNY has now stated that the fire was accidental and is believed to have been caused by a misplaced space heater. The space heater was being used due to the lack of heat in the building. Further investigation is ongoing at this time. We would first like to offer our genuine sympathies and to all eight injured parties as we maintain hope for their full recoveries, as well as thank the New York firefighters who work to fight blazes like the one mentioned above every day. Many fires and explosions in New York often prove to be seriously injurious or fatal, as they are one of the most dangerous situations that anyone may face at any time. 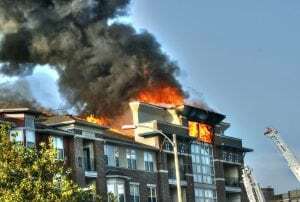 It is terribly important to understand that as victims of a fire, particularly one that started for reasons beyond your control, you may have substantial rights to follow.